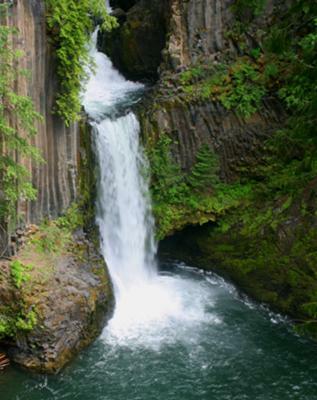 I took these pictures of Toketee falls, on our trip to southern Oregon. 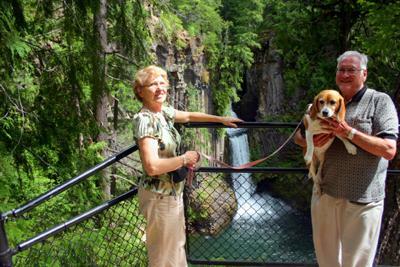 My wife and I with our dog Heidi, visited this beautiful water fall in Douglas county Oregon, between Roseburg and Crater Lake. I have not traveled the world, but this one of the most beautiful waterfalls I have ever visited.